Should DC have more public bathrooms? A bill making its way through the D.C. City Council calls for the installation of at least 10 public bathrooms across the District. WASHINGTON — How many times have you been stuck in the middle of D.C. trying unsuccessfully to find a public restroom? A bill making its way through the city council aims to address that issue, calling for the installation of at least 10 public bathrooms across the District. “Lack of access to restrooms is an issue which affects many District residents and tourists,” said Councilmember Brianne Nadeau during a hearing on the measure Wednesday. The measure, being considered by the council’s environmental committee, would assemble a team comprised of members from a slew of D.C. agencies that would determine where the bathrooms would be located. “Finding a restroom can be difficult, if not impossible, especially in the center of the city,” said Nadeau. Councilmember Charles Allen added that the current state of affairs forces some people to go to the bathroom on “someone’s back door” or in an alley. “A lot of jurisdictions have figured out how to use public restrooms in very smart and clean ways and I think it’s time for the District to figure this out,” he said. But there were a few questions raised by the D.C. Department of General Services, which operates and maintains bathrooms at city playgrounds, recreation centers and municipal buildings. 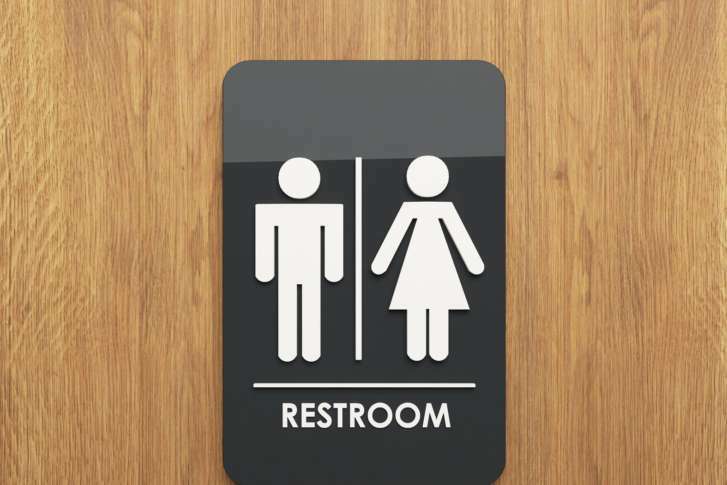 Under the bill, there would also be financial incentives offered to businesses to encourage them to make their bathrooms available to the public for free. Businesses would be subsidized for extra costs associated with opening up their restrooms. However, in order to get that money, they would be required to display a sign indicating that members of the public are allowed to use their facilities.